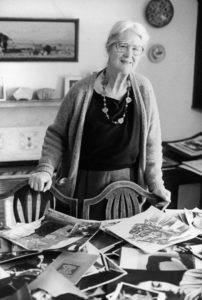 Helen Muspratt (1905–2001) was a pioneering photographer. Her unique techniques with different forms of exposure made her a driving force in naturalistic portraiture and social documentation. 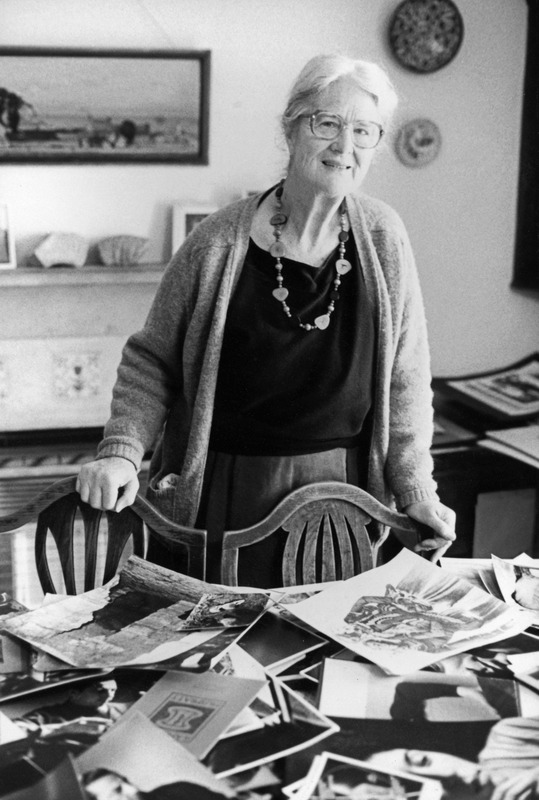 Throughout her illustrious career, Helen photographed the likes of Dorothy Hodgkin, Nobel Prize winning chemist; Roger Fry and Julian Bell of the Bloomsbury Group; painter Paul Nash; journalist Alistair Cooke; and many others. Some of her work is still on display at the National Portrait Gallery, in London, United Kingdom. In this new blog post, Jessica Sutcliffe, reflects on her mother’s work, inspirations, and influences in photography. Helen with husband Jack Dunman and children: Mark Kate and Jessica. Photo by Joan Muspratt. Used with permission. When/why did your mother begin her photography career? My mother was encouraged to study photography by a family friend, Francis Newbery who had come to live in Dorset after he retired from being head of the Glasgow School of Art. She studied photography at the Regent Street Polytechnic and then returned to Swanage to set up her own studio, specializing in portraiture. What was it like for her as a photographer in the 1930s, knowing that most women photographers were unknown or overlooked? The 1930s proved to be the most creative time of her life. Newbery introduced her to Lettice Ramsey and together they set up a second studio in Cambridge where, inspired by the work of Man Ray, they began to experiment with innovative techniques such as solarisation and multiple exposures. I don’t think she was aware of how unusual it was for women to be doing this. In Cambridge she was mixing in left-wing academic circles and having a stimulating time both socially and in her work. What do you believe your mother would want people to think about her work today? She would be justly proud, both of her experimental work, the documentary photographs she took of ordinary people in the Soviet Union and the Welsh mining valleys and of the enduring studio portraits she created throughout her working life. What impact does your mum’s work have on you? As an architect, I am steeped in art and design and have come to understand how significant the contribution of Helen Muspratt and Lettice Ramsey was in this field. It was studying her work which inspired me to write my book. I gradually realized that here was an exceptional body of work which deserved to be seen by a larger audience. Walk us through some of your Helen’s work and influence? This is a self-portrait by my mother, taken approximately in 1930 and it demonstrates many of the qualities which made her stand out as an innovative and skilled artist. In it she used two experimental techniques mentioned above: triple exposure where several images are superimposed on one negative and solarisation where the negative is exposed to light during the development process giving an ambiguous effect of positive and negative with a dark outline to enhance the image. 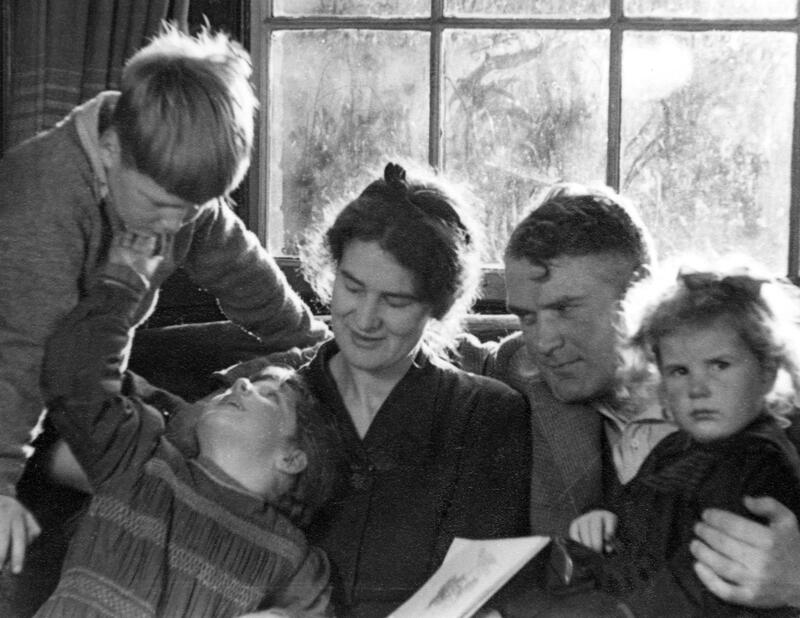 Equally important were the documentary records she made while travelling in the Soviet Union in 1936 and the devastated Welsh mining valleys in 1937. Both experiences lead her to join the communist party and she remained a socialist all her life. Critical to all her work was her preoccupation with the face—its “shape and angle”—and she became an eminent portrait photographer recording some of the leading figures of the twentieth century. The artist Paul Nash 1935. Used with permission. My book combines a record of her work both a personal memoir and story of her life. Helen discussing her work for the BBC Television series “Women of Our Century.” Used with permission. Featured image credit: Portrait of Helen Muspratt. Used with permission. Jessica Sutcliffe is an architect specialising in historic buildings. She is Helen Muspratt’s daughter and the owner of her archive. She is the author of Face: Shape and Angle. Category: Art History, Author Q&A, Blog, History, Photography	0 Comments.